For years we've dreamed of sending people to Mars. With the emergence of disruptive new technologies from space companies and university researchers, it's now possible to design mission architectures that can transport humans to Mars and return them to Earth more safely and cheaply than ever before. 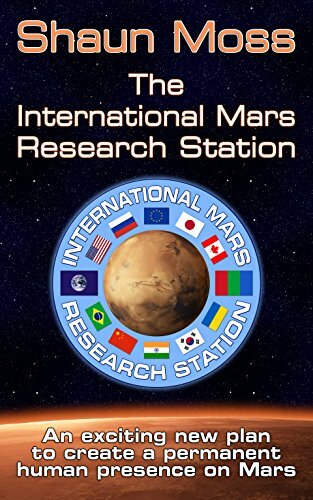 This book outlines a practical and affordable plan for establishing a research facility on Mars for use by international crews over numerous missions, initiating a process of settlement and opening up a new world for human civilization, while simultaneously bringing together the nations of Earth in a noble and historic endeavor. This is a non-fiction book with 300 pages. Most of it is quite accessible although some basic scientific literacy will be useful. There are some mathematical calculations relevant to spacecraft design, which may be of interest to engineers and students, but which can also be skipped over by other readers without loss of meaning. The book contains lots of new ideas related to human exploration of Mars, including several original spacecraft designs, ideas for how to obtain breathable air, water, energy and propellant on Mars, and an affordable humans-to-Mars mission architecture based on the latest space hardware. Anyone interested in exploration and settlement of Mars will enjoy this book!This version has color images, which is why it costs a little more. With a quick search, you'll find a much cheaper print version that has grayscale images. The Kindle eBook version also has color images. Shaun Moss is an Australian computer scientist who has spent the last 16 years participating in the Mars community and developing ideas for human settlement of Mars. He is a director of Mars Society Australia, the founder of the Mars Settlement Research Organisation, and a member of the Space Development Steering Committee. Shaun believes that settling Mars and becoming multiplanetary will be one of the most important steps in human evolution, and will greatly benefit both humanity and Earth. 5つ星のうち5.0Establishing a base on Mars with updated technology. International Mars Research Station describes a plan to establish a base on Mars with a series of missions to rotate six occupants at a time. Basically it updates the ideas employed by previous Mars mission plans (such as Zubrin's Mars Direct) with new science and technology. But this is not just about a voyage to Mars to plant a flag and return; the IMRS is intended to establish long-term habitation on Mars. It includes plans to use resources from right there on Mars as much as possible with the latest technology, allowing exploration with rovers and expansion of the base with future missions. The author describes many parts in detail, and has done thorough research; other parts are yet to be finalized. One might quibble with a few details (redundancy in some sections, seemingly inconsistent dismissal of nuclear power, lots of acronyms -- not enough to give it less than 4 ½ stars), but this is overall a step in the right direction, and with all the research the author put into it, the book makes a great reference for any discussion of future Mars plans or for anyone writing about Mars. If you've read about Mars Direct and other plans, you'll probably want to read this to get updated on new innovations. Bravo - this was an excellent book covering plans for a human mission to Mars. The author expounds on an architecture for a human Mars mission that makes use of commercial assets such as SpaceX's Falcon Heavy launch vehicle and Dragon spacecraft and Bigelow Aerospace's inflatable habitats. Using commercial components to the maximum extent possible lowers the cost to a small fraction of that of a pure government program. This makes the program affordable and something that could be accomplished within the next 20 or 30 years without breaking the bank. The author and those that helped him define the mission architecture did a superb job. I'm a retired aerospace engineer and was pleased to find a lot of innovative ideas. Everything was well researched and technically accurate. I learned a lot from this book. 5つ星のうち5.0Wow - an exciting and astonishingly insightful look at our very near future. Wow. The amount of work and detail gone into the science behind this is simply astonishing. 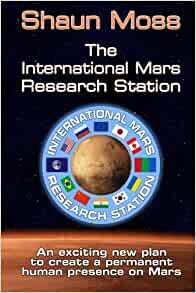 The International Mars Research Station manages to bridge the divide between layman's terms and technical jargon in a way that removes the enigma and mystery of pioneering Martian exploration and brings the concepts of Earth's imminent adventures to our neighboring planet into stark reality. With a focused look at what is achievable now, drawing on known scientific progress and up to the minute example usages of technology we already have available, this book really opened my eyes, and left me feeling truly excited about what is about to come. 5つ星のうち4.0A realy great book about possible architecture(s) for a manned mission to Mars. It is detailed and technical to the right level, comprehencive and clear. The android-kindel version could enjoy a better text/paragraph/figure/table page alignment. It was a bit "strange" to find this book also avaliable for free online. I enjoyed it very much and intend to read it all over again.